Types of identity theft are critically important to be aware of, especially in today’s economy. As much crime as there is today, the fact remains, that you are 25 times more likely to have your identity stolen than to have your car stolen. Now, that is truly scary. There are so many areas of your life a thief can target, and so many different ways a crime can be committed against you. I have listed below some of the types of id theft but also become aware of all the numerous identity theft scams too, so you can protect yourself from becoming the next victim of this life-altering crime. What does medical identity theft involve? It is the use of physician identification numbers and/or patient identification numbers, both used to obtain payment and bill for services. A conservative estimate is approximately 250,000 cases a year. It’s estimated by Blue Shield Blue Cross that $600 million per year is attributed to medical identity theft. Business identity theft, even for small business owners, can be devastating to more than just your personal identity. Most people believe they are safe from this type of identity theft, but that is simply not true. There are over 10 million New identity theft cases every year. Over half of these cases originate from an employer, place of business, local, state or federal government. That’s scary; why? Because This involves all of us in one form or another. We are identified in business by our Federal Tax ID, business name, account information, business indicia and identifiers of employees and management. What you throw away is not safe. Identity thieves go through garbage from a business, home and garbage dump looking for your personal information. Cyber identity theft is a crime that encases any criminal act dealing with networks (better known as hacking) and computers. Also included are the common crimes committed on the internet. When illegal activities are committed through the use of the internet and the computer such as credit card account thefts, identity theft, hate crimes, telemarketing, and internet fraud they are all considered cyber crimes. The advancement of technology has contributed a great deal to this problem that we all encounter when we “visit” the internet. Your computer is a veritable goldmine of personal information to a cyber crook. See more at identity theft software. Cyber identity theft criminals are becoming so much more sophisticated; the tools of the trade are bolder. Cybercrime has soared to 1 Billion dollars a year. Credit card scams and internet credit card fraud is dramatically rising. It is becoming safer at this point to enter a credit card number online through a secure (SSL) order form than to give your card to a salesperson or use in a restaurant. This is because of the very serious privacy issues this involves. Not too long ago, one of the major news channels had a “breaking news” story that involved credit card scams in restaurants and any other establishments you hand over your credit card to be “swiped”. This fraud is called “skimming”. After you have your meal and hand your credit card to a waitress/waiter or salesperson, this person runs your card not once, but twice. The card is run the first time for the total of your order and, then again, on a magnetic card reader. there have been many cases of the person using the card themselves. Identity theft online has grown tremendously in the last few years. Safeguarding your information Before this happens is imperative. Do you know how to minimize your potential of becoming a victim of this far-reaching crime? Knowledge and education about these scams will help keep your identity in your hands where it belongs. Identity theft online has grown in astronomic proportions and gone up by 200% since 2010. 12 A million pieces of personal information were traded by criminals in the first quarter of 2012 alone. One of the biggest reasons for the increase is the number of people signing up for online accounts. It has been reported over 9,000,000 attempts were made in 2005 alone. Phishing attempt losses may have reached over $500 million every year. Surf anonymously so you don’t have to wonder if your being tracked by the search engines like google and bing etc. Better use a VPN while surfing the internet. Take control over your life. Don’t lose your identity to lack of knowledge. 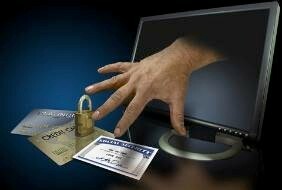 Go to how to prevent identity theft to learn how to protect yourself and your family.